Art and feminism: Once again, women are on the march. And since its inception in the 19th century, the women's movement has harnessed the power of images to transmit messages of social change and equality to the world. 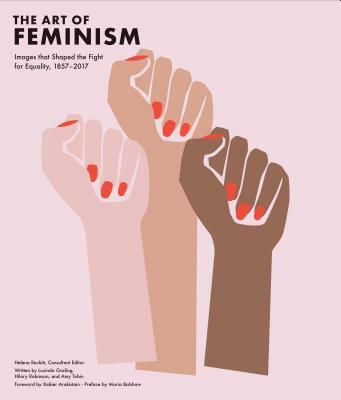 A comprehensive international survey of feminist art: From highlighting the posters of the Suffrage Atelier, through the radical art of Judy Chicago and Carrie Mae Weems, to the cutting-edge work of Sethembile Msezane and Andrea Bowers, The Art of Feminism traces the way feminists have shaped visual arts and media throughout history. Feminism and art history: Featuring more than 350 works of art, illustration, photography, performance, and graphic design-along with essays examining the legacy of the radical canon-this rich volume showcases the vibrancy of the feminist aesthetic over the last 150 years. Helena Reckitt is chair of the Women's Art Library and a senior lecturer in curating at Goldsmiths, University of London.